The concept of "noble simplicity" has been so idly tossed around in the past few decades that it, and the corresponding counter-reaction to it, have become part and parcel of a form of liturgical identity politics. This has less to do with the (seemingly endless) style wars that routinely take place between medievalists and counter-reformationists, or even the battle between the traditional and the contemporary, than it does a distinctly "modernist" understanding and approach to art and architecture (understood artistically, not necessarily theologically) on the one hand, or an antiquarian (sometimes fabricated) primitivism on the other. In these instances, "noble simplicity" becomes equated with rigid minimalism or primitivism. The former viewpoint would seem to wish to understand the grammar of ornament as bad grammar generally; the latter that any ornament must be rusticated and primitive, not refined or triumphal. Both represent a misinterpretation -- or at least over-simplification -- of noble simplicity. It's worth remembering that in evaluating the principles and application of noble beauty and noble simplicity we must not allow our own private stylistic preferences to reign, bearing in mind that the "Church has not adopted any particular style of art as her very own; she has admitted styles from every period" (SC, para. 123). 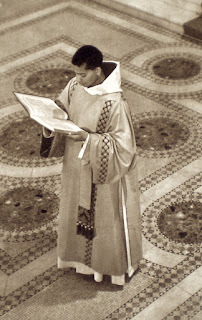 It seems to me as well that the principle Benedict XVI espoused in his accompanying letter to the motu proprio, Summorum Pontificum, applies here as well; "What earlier generations held as sacred, remains sacred and great for us too, and it cannot be all of a sudden entirely forbidden or even considered harmful." This, of course, isn't to say that there isn't room for liturgical art criticism of course, but it is one thing to critique particular instantiations and another thing altogether to write off entire periods of art as decadent or "un-Roman." Those caveats aside, it will be helpful to consider the historical context and origin of this principle. It is true that the concept originally arose with Ludovico Antonio Muratori as an Enlightenment era reaction, "with its potent cocktail of Enlightenment, Jansenist and Gallican ideologies," against the baroque -- as noted by Dom Alcuin Reid in his paper, Noble Simplicity Revisited. The art historian Johann Joachim Winckelmann also famously wrote on this idea as early as 1755 speaking to the "noble simplicity and quiet grandeur of Greek statues" whereupon he advocated the imitation of the ancient Greek style. But if these were the originations of the concept, it is to the eminent liturgical scholar, Edmund Bishop, to which we can arguably most look for interpretive guidance today. For that reason, I am going to re-present a short essay here that I commissioned Fr. Anthony Symondson, SJ -- an author and scholar of the gothic revival -- to write, so that it may help serve as a foundational basis for our considerations here and in the future on LAJ. Some might wonder why we are even chasing this principle? For some, sufficient answer is to be found in the fact that it was a conciliar directive to be implemented. For others, interest in this principle might simply be found in the fact that this is a genuine and classical expression of Romanitas and the Roman liturgical tradition. On 8 May 1899 Edmund Bishop (1846-1917), the liturgiologist, delivered a paper to the Historical Research Society at Archbishop’s House, Westminster, on ‘The Genius of the Roman Rite’ which maintained that the two chief characteristics of the Roman Rite (when divested of Gallican accretions) were ‘soberness’ and ‘sense’. Bishop was received into the Church in 1867 at the age of twenty-one and hoped to become a monk at Downside Abbey but his intention was frustrated by bad health. He maintained a close connection with Downside where he made the friendship of Dom Aidan Gasquet, who shared his liturgical interests. Bishop’s research in the British Museum underpinned Gasquet’s own research and his best books were deeply indebted to him. But Bishop’s most notable contributions to liturgical scholarship lay in his investigations in the early history of the Roman liturgy, especially the text of the Canon Missae and the history of the Gregorian Sacramentary. This essay had a profound influence on 20th century liturgical scholarship and gave rise to the ambiguous phrase ‘noble simplicity’ prescribed as a hallmark of authentic liturgical ceremonial and church planning; it has been much misunderstood ever since. In our time ‘noble simplicity’ has been interpreted as whatever we want it to be. And it has given rise to some adverse developments since the Second Vatican Council of which most readers of the New Liturgical Movement’s website will be well aware. Further elaboration is needless and comments are unnecessary, we know. But what does this phrase mean in the setting of Bishop’s definition of ‘soberness’ and ‘sense’ as characteristic of the Roman Rite and how did he and his successors understand the implications of his research and their ceremonial and architectural expression? His hopes were unexpectedly raised when Thomas Garner, the architectural partner of G. F. Bodley, the leading English church architect of the Gothic Revival, was given the commission to build the choir of Downside Abbey, the crowning work of his life. Garner had been received into the Church in 1896. ‘Much time is spent – or wasted if you will – in the bare rising choir … I shall never have another chance again of seeing a building such as this rising and growing now rapidly to completion … a dreamlike realization of a dream – and yet there is the hard stone, all concrete and material … and in a manner better, nobler than had been first conceived – I do not get over my wonder.’ Garner had worked closely with Bishop on his design and together they discussed plans for the completion. ‘He was two hours with me.’ Bishop recalled, ‘and the half dozen plans for the future.’ But Garner died in 1906 (he is buried in the abbey church) at the point when they were discussing the high altar and none of these plans came to fruition. Bishop did not appreciate what replaced them. So what does this tell us of ‘noble simplicity’ in the contemporary setting of the litiurgiologist who established the principles behind what became a misunderstood shibboleth? At the heart of Bishop’s aesthetic preferences lay austerity and reserve informed by canons of beauty expressed in the developed Gothic style. 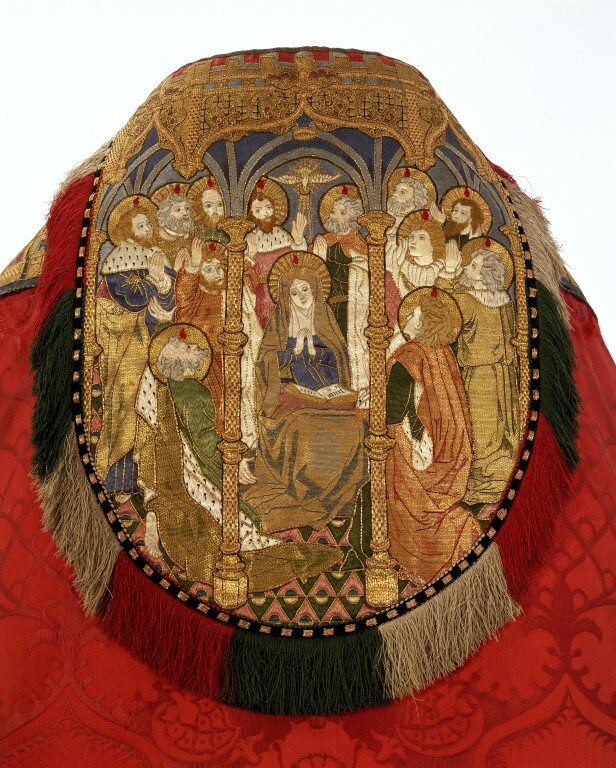 He greatly admired the rich but controlled beauty of Gothic vestments designed by the young Ninian Comper, Francis Davenport (himself a convert), the manager of Watts & Co in their heights, and Garner himself. The vestments they designed for Downside (which still exist) illuminate his fastidious taste. It was the refined, aspirational aesthetic of the late Gothic Revival that he admired and saw as an ideal setting for liturgical worship. But Bishop was the principal advocate of the ciborium magnum as an integral member of the Christian altar. 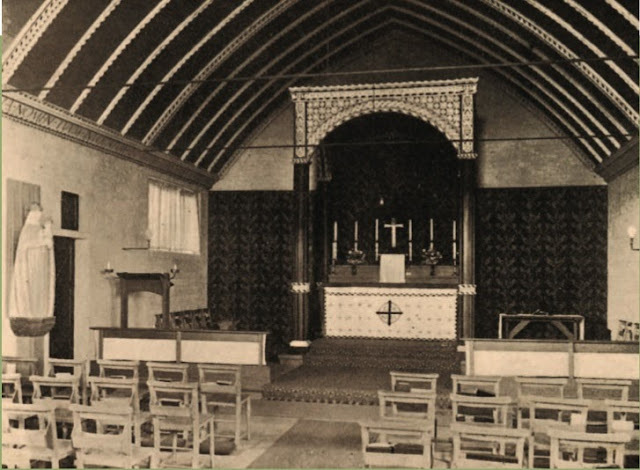 It is significant that he published his learned paper, ‘On the History of the Christian Altar’, in the Downside Review in July 1905 at the time when he and Garner were discussing the completion of the Downside monastic choir. And it is entirely due to Bishop that the great ciborium magnum of Westminster Cathedral came into being as a modern interpretation of an Early Christian precedent achieved against Bentley’s instinctive suspicions. ‘I was hammering at that for months together,’ Bishop recalled, ‘for J. F. Bentley’s behoof. He was as obstinate as only that obstinate “he” could be. I pelted him with texts and examples of all ages.’ Westminster Cathedral embodied the taste of Adrian Fortescue who applied Bishop’s liturgical principles to his own church, St Hugh’s, Letchworth, when he commissioned a severe classical ciborium from F. L. Griggs. If you want to see what ‘noble simplicity’ meant to the minds of these great scholars then one need only look so far as Downside and Westminster Cathedral and the worship conducted within them. 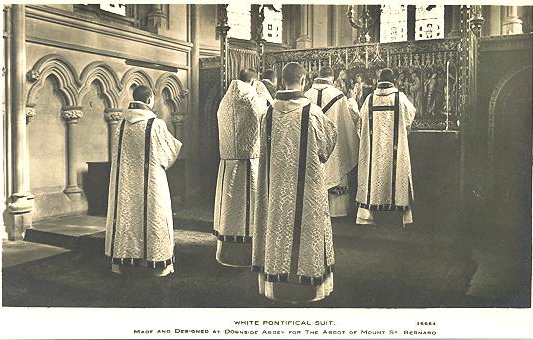 At Downside they still wear fine Gothic Revival vestments and the servers apparelled amices and albs; and at Westminster they maintain the severe Roman tradition applied to the modern Roman liturgy, and Latin chasubles continue to be laid out for priests who want to use them. Soberness and sense, indeed, resulting in noble simplicity. While it would be absurd to expect the Second Vatican Council to have embraced the Gothic Revival, there is no harm in knowing Bishop’s expectations when he coined terms that led to such contradictory results.